Volkswagen Sharon and Touran, which to buy? Interesting advertisement I saw the other day at Helsinki Vantaa airport. A Volkswagen logo with an image of the Sharan and Touran. 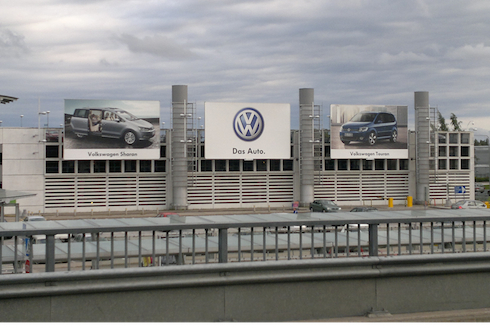 The question is: should Volkswagen not focus in their advertising? And focus in such a way that the one product they believe is attracting customers is placed on the ad, together with a super clear call to action?